Inner SS or MS Construction, Glass wool insulated. Adjustable Grid with Bakelite handle. Air Heaters 4.5 or 6 KW Remote control for Auto Operation. 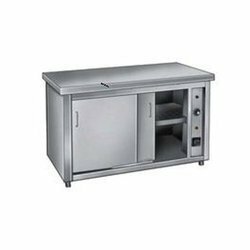 Construction Double Walled SS, Glass – Wool – Insulated, Frame MS, Glass Wool Insulated SS Trays, SS Doors, Electric Load 3 KW with Controls. Size : As per Requirement Custom Built. Heavy Duty MS Frame. 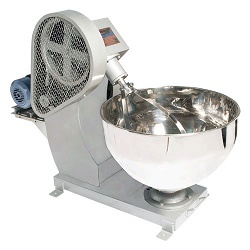 Reduction Gear, Mixing Bowl and Pan Rotatory in MS/SS. 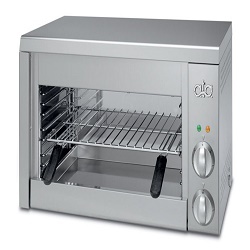 Capacity 15, 25, 40 & 80 kg per hour. 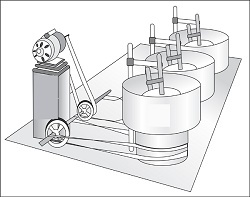 Electric Motor 1, 2, 3 HP. 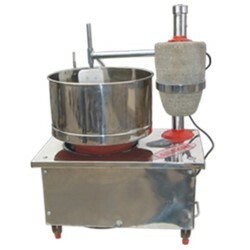 Electric Die Cast Aluminium Body, Peeling Chamber, Rotary Disc with fused Carborundum Granules fixed and 1/2 HP Electric Motor. Frame SS Shaft SS, Bottom Vessel SS. Fitted with Electric Motor, Covering with SS Sheet. 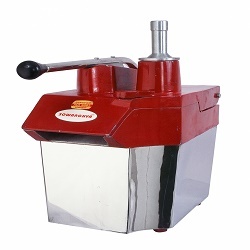 Wet Grinder / Masala Grinder. Box Model Unite, with Coconut Scrapper. 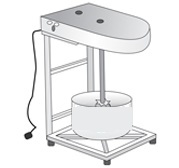 Frame MS Drum SS, Wooden Vatta, SS Covered Vatta, Oil Bath Heavy Duty Gear Box, Electrical Motor Box covered with SS. Sheet Model : 3, 5, 6, 10, 12, 15, 20 and 30 Liters. Industrial Model hard Granite stone set, With Coconut Scrapper. 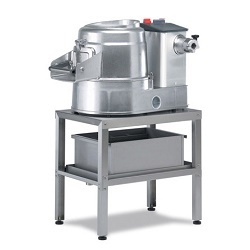 Heavy Duty Shaft Counters, Bearings, Pulleys, Posts & Handles 2, 3, 4 Grinders can be attached to one motor. Capacity 8, 10, 12, 15, 30 Liters each Grinder.